Do you ever scroll through social media, or flip through magazines wondering how everyone seems to have the perfect smile? The rich and the famous seem like they were born with all their pearly whites perfectly placed and positioned. It can be discouraging when you compare your smile to famous peoples’ smiles. People in Hollywood were not born with perfect smiles! They have been using porcelain veneers for years to create the perfectly photographed smile for the big screens and pages of magazines. Porcelain veneers are a cosmetic option for adults who wish to improve their smile. If you decide that it’s time to correct your smile, why not consider porcelain veneers? Your procedure will span over several visits that involves planning, preparation and implementation. Your result will be a Hollywood-size smile at a cost that is affordable for everyone’s not-so-Hollywood-size wallets! Porcelain veneers are shell-like and made of porcelain that matches a natural tooth. The porcelain shells are placed to fit over the front of your teeth. 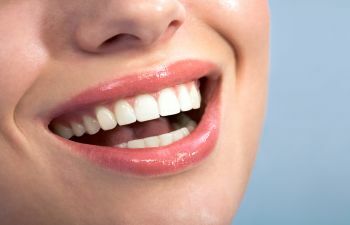 They are typically placed on the front of your teeth, which often show the most when you smile. They function like your natural teeth as well. Book your porcelain veneer cosmetic appointment at Mansouri Family Dental today. After we complete your new smile you will care for your naturally looking teeth just as you do your current set of teeth. We look forward to giving you a smile worth posting!